At the Transpolitica 2016 event on 3rd December (preview | schedule | registration), we’ll be trialling a new system for collecting and prioritising audience questions for the speakers. Selectively upvote the questions raised by other audience members. Note: Glisser can be used from smartphones, tablets, and laptops. The event chair will be keeping an eye on the incoming questions, and will prioritise asking the presenter the questions with the most upvotes. The entire set of questions will be downloaded after the event, and used as the starting point for possible new projects by Transpolitica and/or London Futurists. In this way, we’ll be “practising what we preach”, and using technology to help identify, highlight, and preserve the best of our collective thinking! This shows that two questions have been posed so far – one with two upvotes, and the other with just one (so far). In the browser, you can press the Question Mark icon and type in your question. (Hint: keep it short! And keep it civil…) Feel free to add your name at the end of the question, if you’d like to be publicly identified as the originator of the question. You can also click on the various ‘Hand’ icons to upvote an existing question. With the most popular questions at the top. Press the resulting big “Down arrow” slider to get back to the main screen listing. You are welcome to trial the system before you arrive at the venue, so you can learn how it works. By all means post some “test questions”, and practice upvoting. Before the event actually starts, the test questions will be purged from the system, so there’s a fresh start once people are listening to what the speakers actually say. Q1: Glisser has lots of other features, beyond audience Q&A. Why aren’t these being used on this occasion? A1: We’re taking one step at a time! Q2: Aren’t “old style” spoken questions more authentic and insightful than questions typed into a small browser screen? A2: Perhaps so. However, this event has a full agenda, with little buffer time. There won’t be an opportunity to pass a microphone around many different people in the audience, to give them all a chance to ask questions, sorry. Instead, with Glisser, there’s a greater opportunity for the best questions from the audience to be heard – where “best” is as judged by the audience as a whole. Moreover, Glisser allows a greater number of questions to be recorded, for future review by speakers. Q3: Will there be sufficient wireless network bandwidth in the room to cope with 100+ simultaneous users? A3: Since the event is being held in a basement room, cellular connectivity may be hit-and-miss. Therefore we’re paying the venue to provide wifi access. Details of how to access the wifi are given on the meetup page for the event and will also be availble at the check-in desk at the venue. The organisers ask that attendees refrain from video downloads or uploads over this network, to preserve bandwidth for the Glisser voting functionality. Thanks in advance! Q4: Why does Glisser ask for an email address when users first visit one of the presentation pages? Will this email address be used for marketing purposes? A4: No! The email addresses are listed on the admin pages alongside each question, in principle allowing the event organisers to email longer answers to questioners after the event has finished. However, London Futurists and Transpolitica will not be contacting any of the attendees in this way. And Glisser emphasise they won’t be using these email addresses for any purposes of their own. Q5: Do users need to use a real email address when connecting to the system? A5: No! If you wish to protect your privacy, by all means invent a fictitious email address when signing in. No two-stage validation takes place. Q6: Why does Glisser keep warning users that “Changes that you made may not be saved” and ask “Do you want to leave this site”? A6: Glisser seems to be overly trigger happy with such warnings. Since it seems to save questions to the cloud almost immediately (provided there’s a good network connection), you can mainly ignore these warnings. Q7: Can users change their mind and downvote a question they have previously upvoted? A7: That functionality seems not to be available. So exercise some discretion in picking which questions are really your favourites! Note: videos and slides from the various presentations are embedded below. 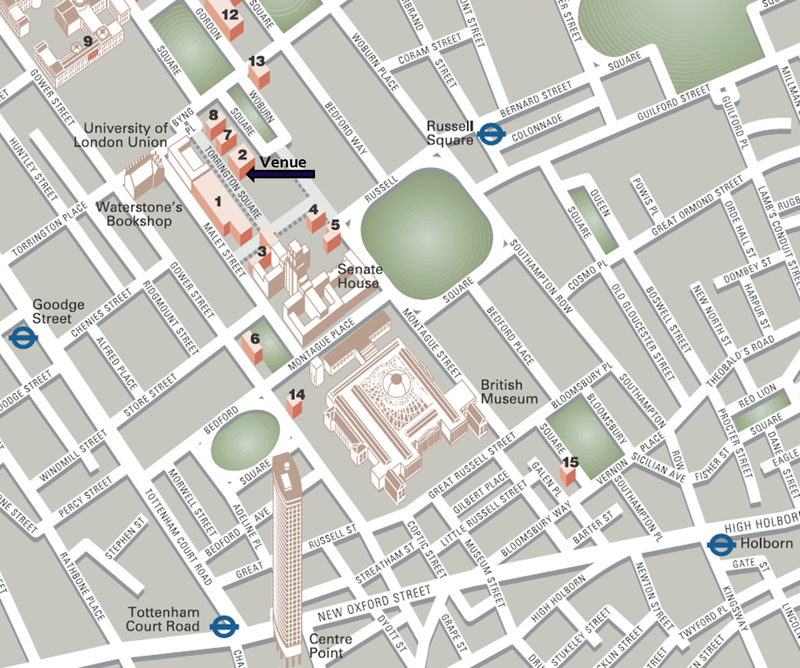 We’ll be in the Clore Management Centre, room B01 (on the basement level), Birkbeck College, Torrington Square WC1E 7HX, London. To register in advance for this event, see this meetup page. Light refreshments will be available in the entrance foyer outside the meeting room. In the spirit of embracing technology to improve collaboration, Transpolitica 2016 will be trialling a tool (Glisser) for online communication during the event. This tool will be used to identify the questions that the audience, as a whole, prioritise as most deserving responses from speakers. The tool can be accessed using either a cellular (3G/4G) connection or via wifi. For more details, see here. To register for this event, see this meetup page. And see here for a short video preview.